Renal cell carcinoma or renal adenocarcinoma originates in the malignant transformation of renal tubular epithelial cells. The cause of the malignant transformation is unknown. There is evidence that environmental carcinogens may be involved , but the incidence of renal cancer appears to be stable. Renal adenocarcinoma affects adults with an increasing incidence with age. Most series show the mean age of disease appearance in the late sixth decade and males to be affected more commonly than females. 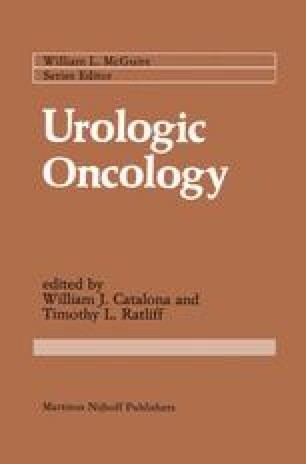 Young adults aged 20–40 develop renal adenocarcinoma less commonly, but the behavior of the cancer in young adults is essentially the same as in older adults .